MM has some of the best tightest steepest singletrack around. My 29” bars are often too wide. About 19 miles of 3-5 diamond ST on the map. Another 7-8 or so of hidden crazier stuff the TKO boys train on. But if you don’t have a guide, you won’t find any of the secret stuff. Did my 2nd hare scramble at Budds 2 weeks ago and got me thinking of running in the vintage class in the SXCS series,and selling my TTR225. Thinking about a IT175-400+......depending on year cutoff for the V class. Im assuming the ITs would be a good bike for vintage class hare scrambling??? Pros/Cons etc? Other suggestions bike-wise? also check NATRA that's SE of Nashville. big private riding area, lots of friends ride there and really like it, might be an option. Not sure the terrain but would be a fun place to go for a couple of days and camp from hearing about it from friends. I ride at NATRA a good bit. 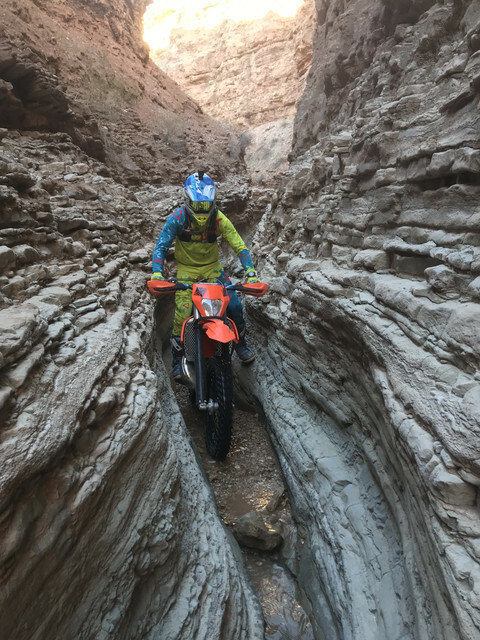 Its definitely not hard enduro type terrain. There are some places you can find some technical terrain but most of it is a mixture of tight and flowing single track. I love riding there. There are miles and miles of single track. They have recently changed some of the trails and remarked a good bit of them. It really is a fun place to ride. Read the vintage rules and buy the most modern bike allowed in that class. terminus est and britx303 like this. I would bet it would be similar to AHRMA rules even if it is not an AHRMA event. Look at their handbook. It will be in the same boat as your TTR except heavier and worse handling and always trying to rip your arms off or high-side you at the worst possible moment when the power comes on, as well as being difficult to jet due to a bad combustion chamber design. The thing will either rattle and ping or run pig rich. I would take an IT175 over that for hare scrambles any day of the week and twice on Sunday. Well you certainly made the it465 sound even more fun!!!!! I was under the impression that it was the 490 that was the stubborn pig to get running right???? You may be right on that, but I had an IT400 that was the same way. If I remember correctly, some of those early monoshock absorbers cannot be rebuilt. Been cutting some singletrack on my property here at the house near Deals gap. Not much but enough to scratch the itch a little, at least. Stumpy, Anchovie, XFBO and 1 other person like this. I think Drew Smith at WER can do all of them. He did the one on my Dad's IT125 (with MX175 top end). XFBO and rcmike917 like this. SuddenBraking, Used2Bfast 2 and XFBO like this. Many of the guys I ride with and myself included, wear Camelbak Mule backpacks. Comes with a 3L bladder and lots of space for snacks and extras without being bulky. +1 on the Mule. if you don't like the brand (not a fan but I've had mine for a really long time) so next time I'll get something from another brand that's basically the same specs (volume and water capacity). Hard to go wrong with that size. plenty of water for a decent day ride (maybe carry a small filter like a Sawyer squeeze or mini for the group) and room for tools and snacks.